The Tab A's price now dropped another $20 to only $139.99. The price is now $129.99. Instead of $230, you're looking at handing over just $160. This is an open box item. 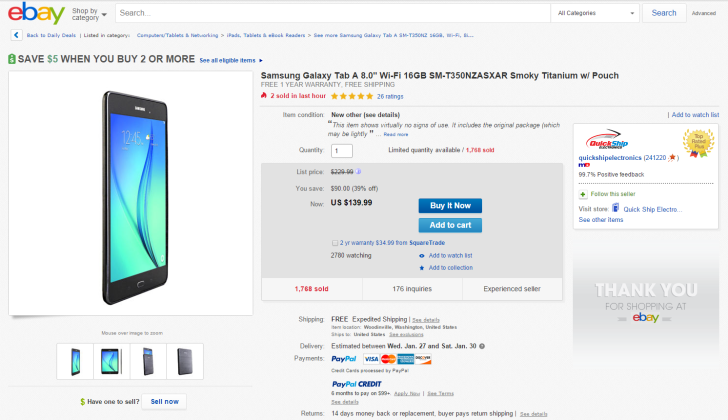 The seller says the tablet will come in the original packaging, but the box may be "lightly distressed." Fortunately you get a one year warranty. That's plenty of time to figure out if the device is going to crap out on you. 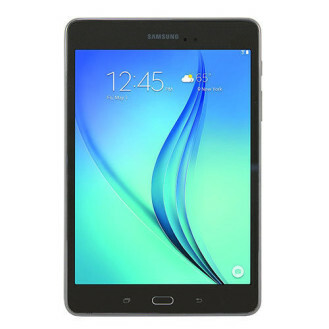 The 8-inch Galaxy Tab A comes with a 1.2GHz Cortex-A53 processor, 2GB of RAM, 16GB of internal storage, a 5MP rear-facing camera, and a 2MP front-facing one. 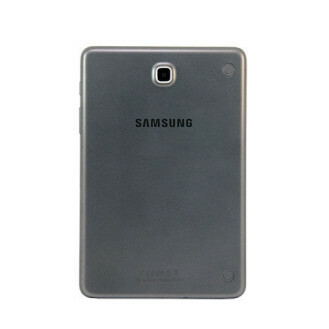 Thanks to a metal chassis, it's a more premium feeling device than the regular Galaxy Tab line. If all of this sounds good, you know what to do.